Rich and Creamy Cleansing Butter made with superfatted Kokum and Shea butters, cold pressed oils and herbs, roots and flower infusions cleanse and stimulate circulation. Melts on the skin to give a creamy lather and intense nourishment. 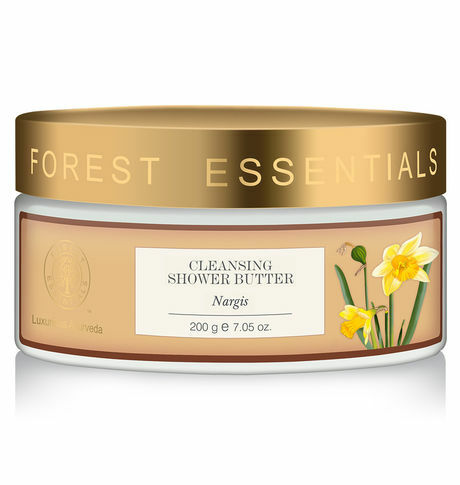 A cleansing Shower Butter to deeply nourish and cleanse your skin, leaving it drenched with moisture and lightly scented with the delicate fragrance of the Nargis flower. This superfatted Shower Butter is a rich and creamy bath product containing over 40% of nourishing butters including Kokum and Shea butters. This soft butter melts at body temperature into a creamy lather when it comes in contact with water.